How Are Cigarette Filters Made? The good thing about cigarettes is that it is a piece of ingenuity in itself. From the way the tobaccos are manufactured up to the varying tastes each type possesses. But let us not leave the cigarette filter behind. 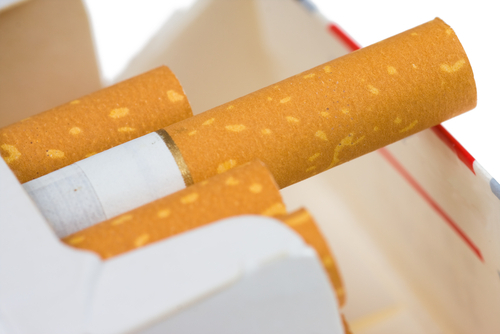 For cigarette aficionados out there, have you ever thought of how cigarette filters are made? As insignificant as it seems, they contribute an important role in the pleasure of smoking. Though there still are non-filter lovers out there, it is good to know how they are made. Filters were invented by a Hungarian named Boris Aivas in 1925. He used crepe paper along with some cellulose variants. In the 1960s, when it was known that it reduces the amount of harmful chemicals acquired from cigarettes, cigarette filters became popular. The main purpose of a cigarette filter is to decrease the amount of tar, smoke and other particles that can be inhaled during smoking. It is made primarily of cellulose which is acquired from wood. In the manufacturing of such, the filter is first undergoes the process of acetylation, then dissolved and woven together into a bundle of fibers known as tow. The tow is then opened and plasticized. Afterwards, it is shaped and cut to the shape to the size of the filter. For light cigarettes, the filter has to be perforated with very small holes to make the smoke diluted by air. Therefore, the amount of nicotine as well as the tar is lessened. A tiny bit of knowledge associated with the pleasures of smoking is, of course, not at all hurtful. Besides, it is something to ponder about while idling away a minute or two when smoking.